The Internet is filled with un-vetted design appropriation which can result in students’ lack of unique creative problem-solving solutions. With unending design tutorials, blogs and inspiration sites, there is less creative thinking left for students to do. 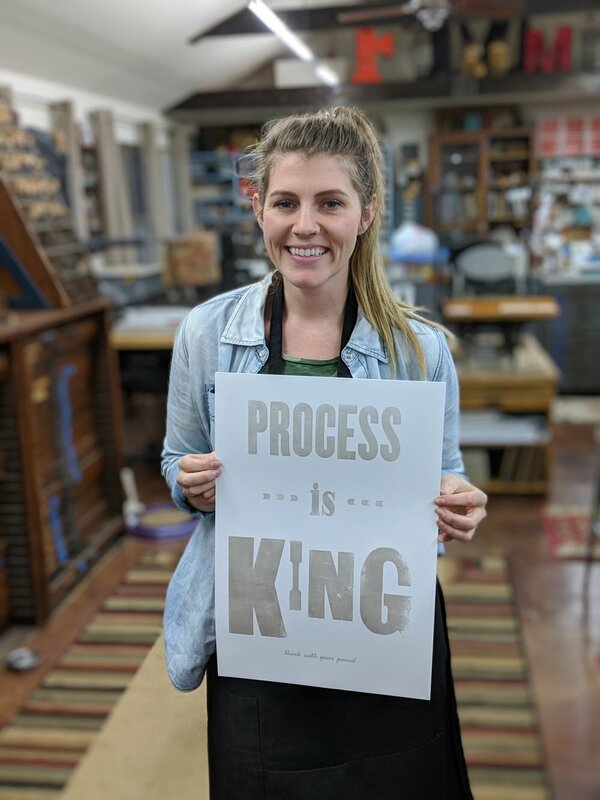 Creative processes have evolved with a stronger focus on final results and production rather than original exploration and “hands-on” development. With this switch we see a lack of tactile problem-solving, and, in turn, a decline in creative thinking, a degeneration of the creative process, and a loss of originality in design solutions. Technology has further complicated the creative process by replacing and preceding humanistic problem-solving techniques such as, sketching, drawing and ideating. The result is that students are in danger of losing the essential connection of basic hand skills to think through a problem. Thinking with one’s hands has many benefits—creativity, holistic and cognitive development, retention, and, in most cases, overall self-respect. Research indicates that physically sketching with a pencil and paper enables designers to explore ideas freely without limitations or boundaries in the early stage of design (Lipson and Shpitalni 2000). Drawing allows one’s brain multiple facets to engage with new material—figuring out how to draw by visualizing the idea, then experience the physicality of seeing that idea come to life (Stillman). This study will explore ways to help designers understand the power of humanistic interaction, develop physical tools and practices, and integrate them into their ideation and creative processes versus merely relying on technology and the Internet for creative solutions. The goal of this research is to better understand the creative process and how technology can advance graphic design when used in tandem with humanistic, tactile problem solving.